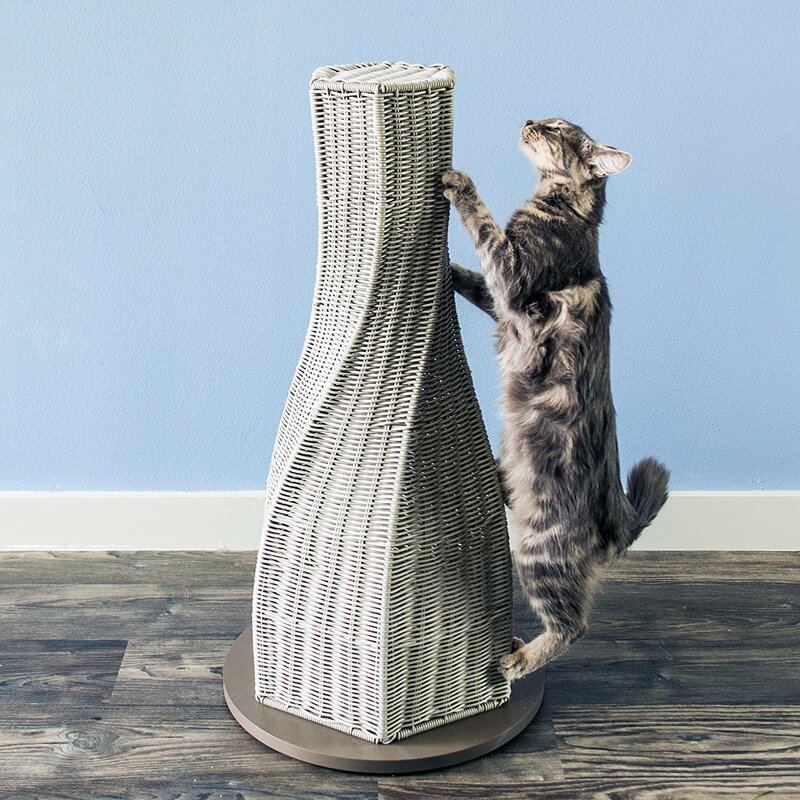 The Refined Feline company makes some extremely beautiful looking cat products that are great for both your cat and your home. And this Calypso Cat Scratcher is no different to the rest of the range. Well, The Refined Feline started life in a really small way when the owners got their cat called Kerpal and they lived in a small New York apartment. They, therefore, found the same issues as many of us – balancing their cats need to climb and scratch and have fun with our needs to have beautiful homes. And so Refined Feline was born. 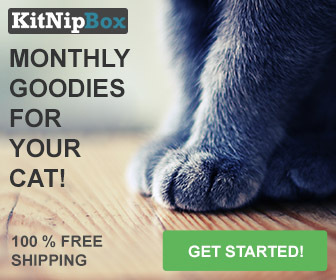 Their goal was to produce cat products that looked good, were affordable and easy to maintain as well as being fun for cats. 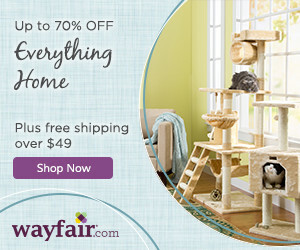 Therefore, they produce modern looking cat furniture for a great price. In line with this ethic, they have recently brought back out to the market the Calypso Cat Scratcher. This has a beautiful looking design that curves and blends with your decor. It is interesting to not just have a cat scratcher that is all just straight lines and resembles a straight post. Instead, this cat scratcher starts out wider at the base and then curves into a narrower diameter at the top. 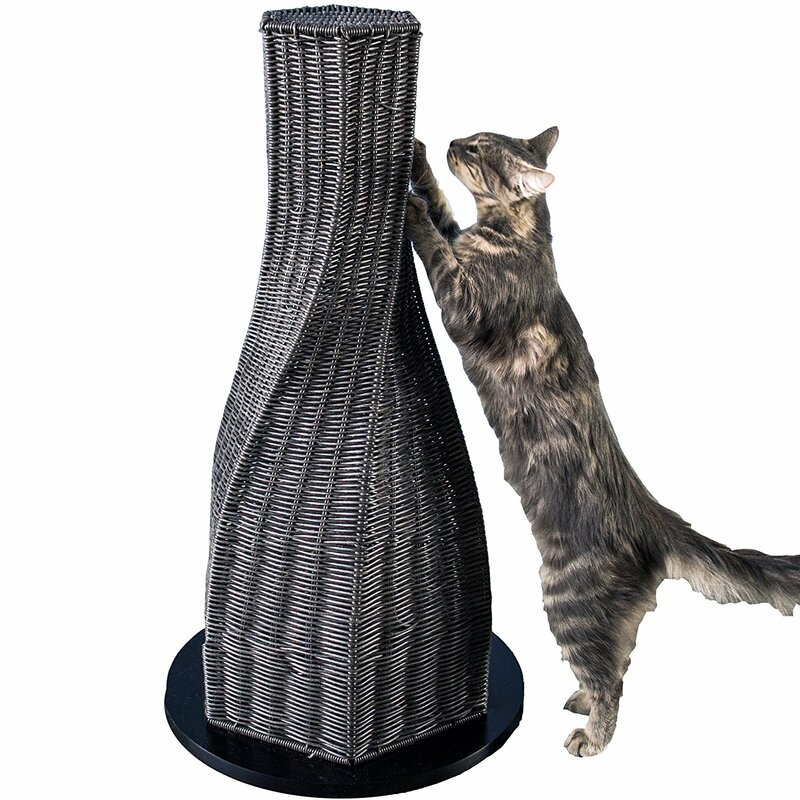 But it’s not just about the design for your house, the Calypso Cat Scratcher really does need to meet your cat’s scratching needs too. In this case, the scratcher is made from a super strong poly rattan which should be highly durable and remain looking good for years on end. 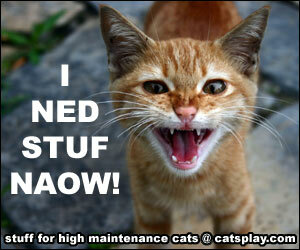 Even when your cats are regularly scratching against it. And to keep its attractive shape the rattan is woven around a wire frame. Have a look at some other cat scratchers we recommend. 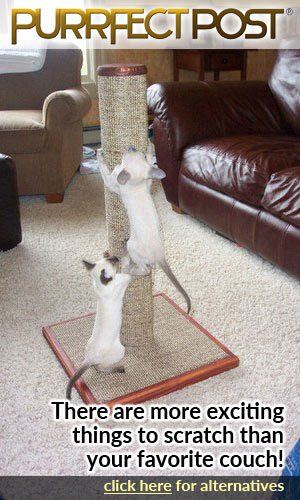 The problem with a lot of scratching posts is that they are not tall enough for most cats. Cats love to stretch when they scratch so some posts are either too small or not stable enough for when cats are stretching full length. This is no problem for the Calypso Cat Scratcher. It comes in at a respectable 31 inches high and has a 16-inch diameter at the base. Furthermore, the base is actually weighted so it resists tipping over when your large cat is pulling at the top. The total weight of the Calypso Cat Scratcher is 9 pounds once it is unboxed. 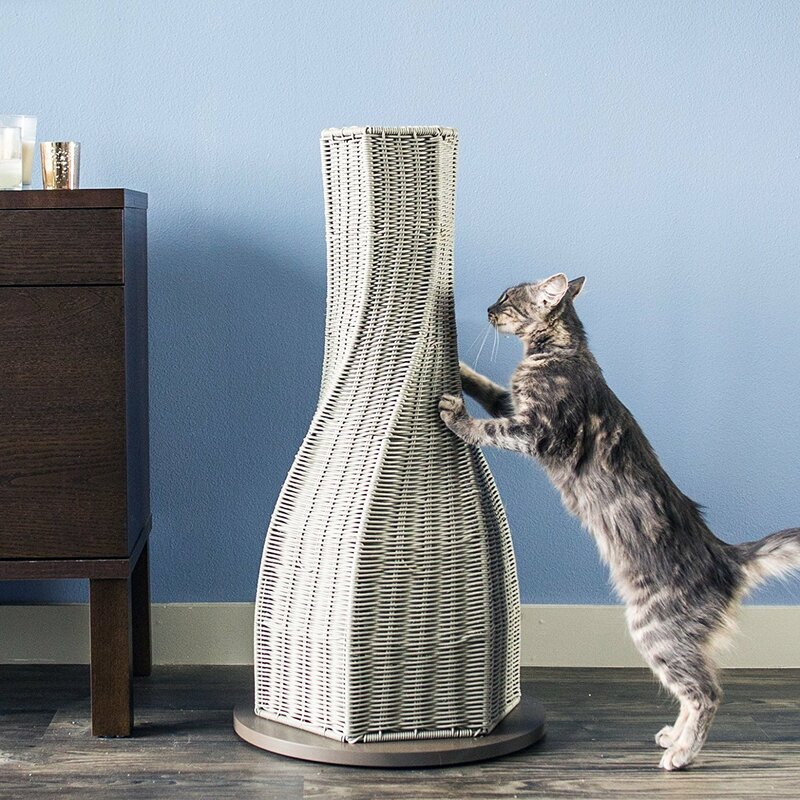 Overall this is a really nice looking product into the cat scratching post market. The design is very interesting and different to the other scratching posts out there. It also comes in two nice colors – smoke and espresso so will look good in any room in your house. 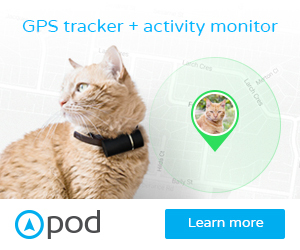 But more important your cat will love it too.